China’s leader has arrived in Moscow for what the Russian president has described as “a major event in bilateral relations.” It is the two leaders’ third meeting this year, and deals worth $10 billion are expected to be signed this time. The Chinese president is making a two-day stop on his way to Germany, where a G20 summit is scheduled for later this week. Putin and Xi already held an informal dinner at the Kremlin Monday evening. The two leaders exchanged views on Syria as well as issues relating to the Korean Peninsula, where they agreed to “jointly push for a proper settlement… via dialogue and negotiation,”according to Chinese state news agency, Xinhua. The Chinese leader also emphasized the need to boost cooperation and “steadfastly support each other in pursuing their own development paths and defending their respective sovereignty, national security and development interests,” Chinese media reported. Xi’s official visit would start on Tuesday and will include bilateral talks, according to the spokesman. 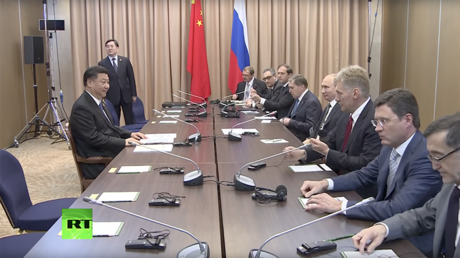 “It will have an unusual format [of the meeting]: the leaders will meet [Russian and Chinese] representatives of the public, businesses and media, who will briefly inform Putin and Xi Jinping on their cooperation,” Peskov added. During the visit, Putin will also award Xi with the order of St. Andrew the First-Called, one of Russia’s highest honors, for his prominent work in strengthening friendship between the peoples of Russia and China. Ahead of his visit, the Chinese leader gave an interview to Russia’s TASS news agency, in which he particularly focused on the issue of deployment of the US THAAD missile defense systems to South Korea. Xi criticized the move as “disrupting the strategic balance in the region” and threatening the security interests of all countries in the region, including Russia and China. 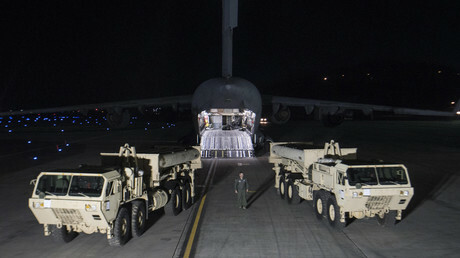 He also reiterated that Beijing is urging Washington and Seoul to back away from the decision to deploy THAAD systems to the Korean peninsula. Less than a month ago, Putin and Xi met in Kazakhstan’s capital, Astana, on the sidelines of a Shanghai Cooperation Organization summit. At that time, Putin called the upcoming meeting in Moscow “a major event in bilateral relations,” noting that it would have a “significant” impact on bilateral ties. “By tradition, we use every opportunity to meet and to discuss bilateral relations and the international agenda,” the Russian president said. The Chinese leader noted that “every new meeting brings new opportunities for an exchange of opinions,” adding that “the numerous meetings at various venues indicate the high level of bilateral relations” between Moscow and Beijing. Before the Astana meeting on June 8, Xi had hosted Putin in Beijing during the high-level ‘One Belt, One Road’ forum, which brought together dozens of heads of state in May to discuss international cooperation. During Xi’s visit to Moscow, scheduled for July 3-4, Russia and China will sign several contracts worth a total of $10 billion, as well as more than a dozen intergovernmental agreements on cooperation in various fields, TASS reported, citing Chinese Assistant Foreign Minister Li Huilai. Andrey Denisov, Russia’s ambassador to China, told TASS the leaders will sign numerous corporate agreements between Russian and Chinese companies. “We’re discussing a number of draft documents, both on government and corporate levels. And we have dozens of documents relating to the former group,” he said. Moscow and Beijing are determined to align positions on pressing international issues, he said. Close ties allow the countries “to pursue a rather close course on various aspects of the agenda of international organizations, including the United Nations,” according to the ambassador. “To put it directly, it produces a sobering effect on our partners in these international organizations,” he added. “When good intentions framed in lofty words lead to chaos, the collapse of states and, in the long run, to bloodshed and numerous human casualties, the role of stabilizers, of the factors that may have a cooling, stabilizing effect on the generally turbulent international situation is very important. 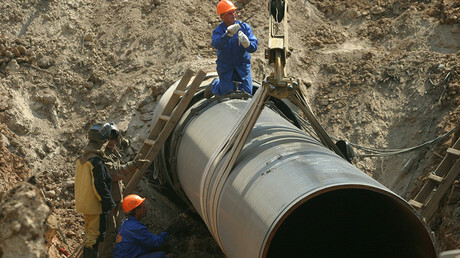 And Russian-Chinese relations are, to my mind, such a stabilizing factor,” Denisov said. Moscow and Beijing have strengthened their strategic partnership on the international stage, Li noted, adding that they have been jointly pushing for political solutions to the Korean nuclear issue and the Syrian crisis. Beijing is Moscow’s biggest trading partner, accounting for 14.3 percent of Russia’s foreign trade turnover. Between January and April of 2017, the volume of trade between the two countries grew by 37 percent, reaching $24.5 billion.